Representatives of districts across Kansas are returning home from Topeka following the two-day Kansas Safe and Prepared Schools Conference sponsored by four state agencies. A fifth agency — Kansas Homeland Security — appeared as a sponsor on the advance flyer but was not listed in the conference program. The KIFC would like to collaborate with districts to gather and share information on agricultural, biological, cyber, infrastructure, pandemic disease and terrorism threats. State fusion centers focus on gathering information to prevent crime including — but not limited to — terrorism, according to the Council on Foreign Relations background paper. One reason for not isolating intelligence is because other sorts of crimes often finance terrorism. 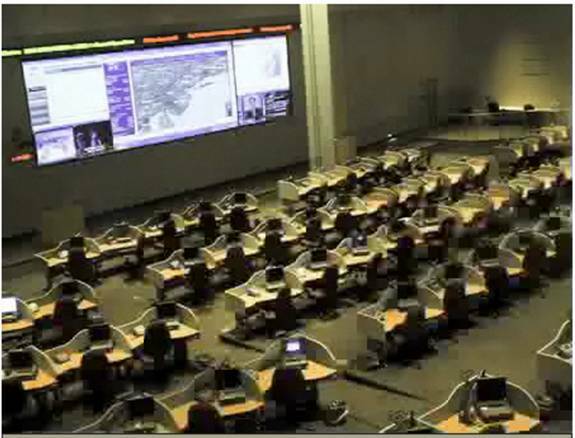 Fusion centers also can use their resources in coordinating responses to disasters and public emergencies. Although the Council on Foreign Relations background paper presents a school shooting as its hypothetical example, such an emergency is unlikely. Statistics from the University of Virginia’s Youth Violence Project show that even though the public perception is that schools are violent places, the number of homicides in schools has been declining, and students are more at risk at home and in their communities than they are in school. One of the critics of state fusion centers — including the one in Kansas — is the American Civil Liberties Union. ACLU representatives have testified before U.S. Congressional Committees regarding their concerns. “If the federal government announced it was creating a new domestic intelligence agency made up of over 800,000 operatives dispersed throughout every American city and town, filing reports on even the most common everyday behaviors, Americans would revolt,” former FBI agent Mike German and Senior Policy Analyst Jay Stanley wrote in the ACLU’s 2008 Fusion Center Update. Private Sector Participation. Fusion centers are incorporating private-sector corporations into the intelligence process, breaking down the arm’s length relationship that protects the privacy of innocent Americans who are employees or customers of these companies, and increasing the risk of a data breach. All school districts in the state belong to the Kansas Center for Safe and Prepared Schools, which was one of the sponsors of this week’s conference. The center is part of the Adjutant General’s Office, which is in charge of emergency and military preparedness in Kansas. The department also oversees Kansas Homeland Security.